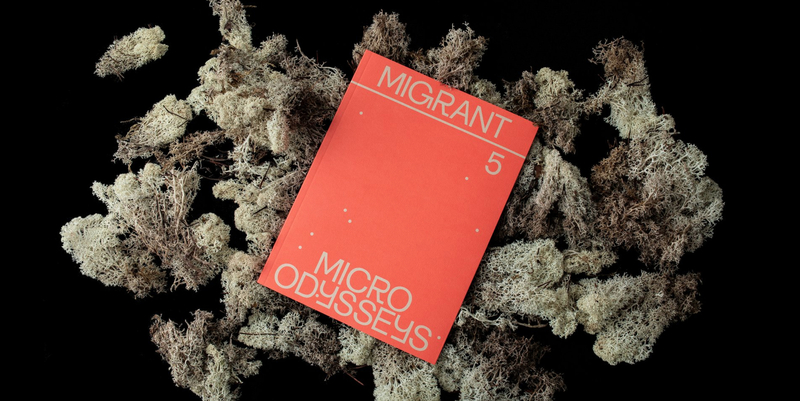 Commissioned project “Holobiont Tales” in Migrant Journal No.5: Micro Odysseys. Obsessed by the movements of humans, the ‘big picture’ and the mega-infrastructure that make their circulation possible, we forget that every great journey has its origin below the radar. The planetary and the microscopic are not necessarily in opposition—life is but a flow of minerals. Disease, seeds, plants, fauna have travelled the world, and back again, echoing humanity’s stories of exploration, exploitation and colonisation. In this fifth and penultimate issue, we explore the microscopic in movement: from shooting stars to shifting sands, bacteria in Estonia and particles in Geneva, mosquitoes in fascist Italy and tuberculosis in Indian cities, micro-plastics floating in the Pacific Ocean, Roman weeds and their mysterious migration to Copenhagen.